Many thanks for all your interests and supports. We, Sindoh, wish only the best for all of you. Here we’d like to announce SolidWorks World 2019 will be held in Dallas, Texa, USA from Feb. 10, 2019 and Sindoh will participate the show for the fourth time as a Gold Sponsor. 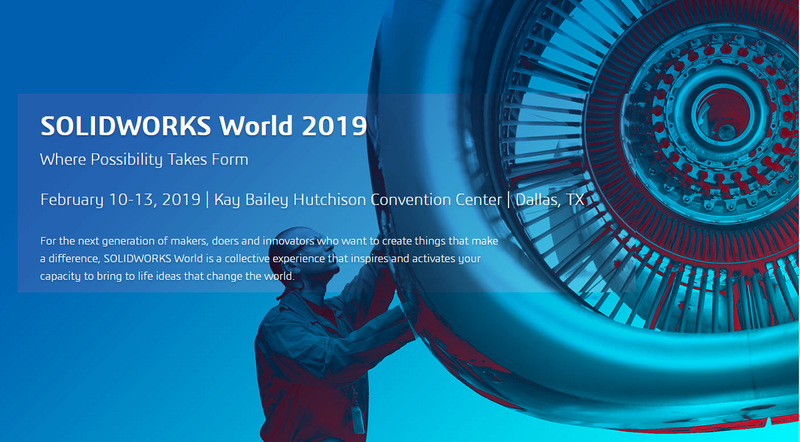 We will then see you at the SolidWorks World 2019 (booth #701), Kay Bailey Hutchison Convention Center | Dallas, TX, USA on February 10-13, 2019.